Come see the new updates to this home! Open House on Sunday, April 28 from 1-4 or schedule a private showing. Have you ever dreamed of sitting by the pool, watching the kids splash around, while your horses graze just a stone's throw away in the paddocks? 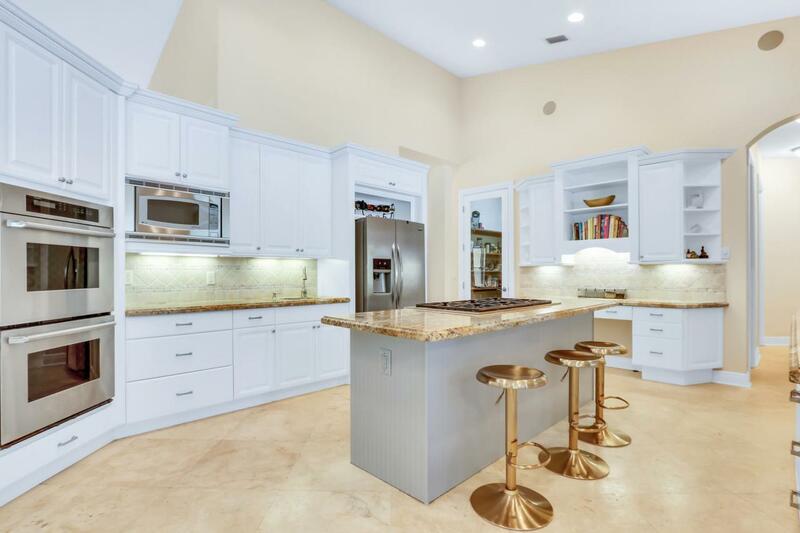 This beautiful home has room for entertaining the whole family! 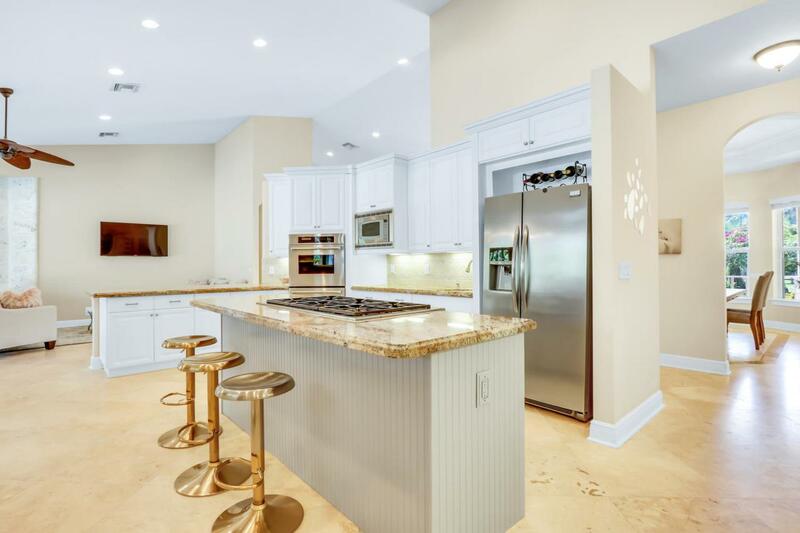 Enjoy the formal dining room where everyone can gather for holiday meals, a media room insulated for sound where the kids can hang out and watch movies or play video games, and a formal living room with a wet bar where the adults can relax. What about if that same house had a spacious screened in patio, complete with a gas grill and outdoor shower, which overlooks the spa and large pool, ideally shaped for lap swimming? 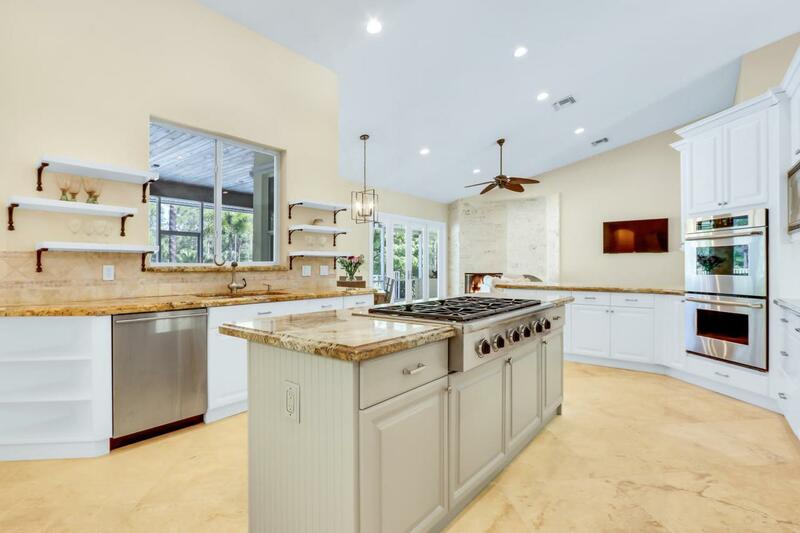 This one story, 5 bedroom, 3 1/2 bath CBS home issituated on 5 landscaped acres in the equestrian neighborhood of Caloosa. There are so many possibilities because of the thoughtful layout and special features of this house. The unassuming facade barely hints at the grandeur that will surprise and delight you and your guests every time you enter. The gourmet kitchen, replete with granite counter tops, custom cabinetry and stainless appliances, also features a 6 burner propane cooktop. Along with partial impact windows and doors, there is plenty of room for a backup generator, making it hurricane ready. The immense master suite possesses tongue in groove ceilings, French doors and abundant windows that allow the natural light to flood the room. The remaining 4 bedrooms are located in a separate wing of the house, each pair joined by jack-and-jill bathrooms. The deep lot allows for the substantial barn and 6 paddocks to be camouflaged behind the house. While being well-equipped for horse lovers, with a 12x12 feed room, 12 x 24 tack room/lounge, 2 grooming/wash stalls and a small additional storage room, the barn could also be renovated into a luxurious guest house or garage. 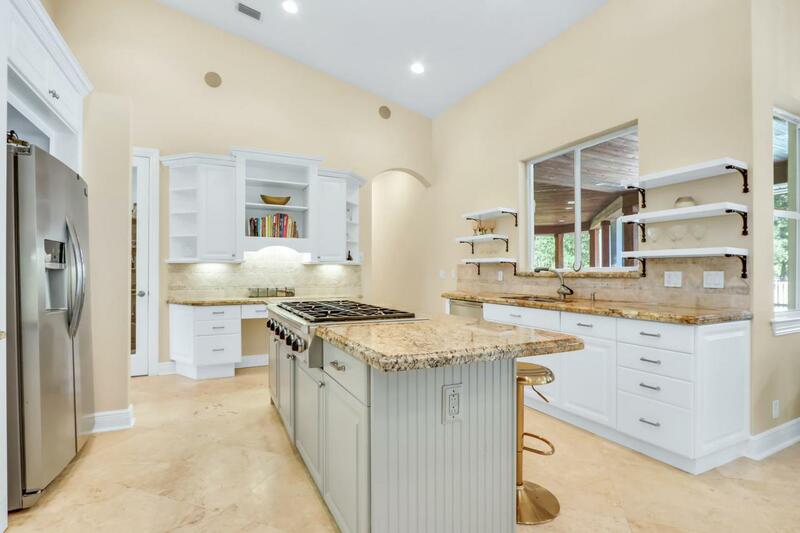 This airy and open home highlights the very best country living Florida has to offer. With only minimal updates, this reasonably priced home will only increase in value.